The correct diagnoses of foundation wall cracks and crack movement are necessary to provide the best corrective actions. ECP crack monitors are simple to use devices to provide engineers and contractors with very accurate information about cracks and their movement. The ECP crack monitor is placed over a crack and fixed to each side of the cracks. A two-axis grid provides detailed information about the movement of a crack and helps determine the best corrective actions to solve the issue. Regardless of their construction, walls crack because they are overloaded or because the structure has settled or heaved. Vertical and angled cracks are usually caused by settlement or heaving. 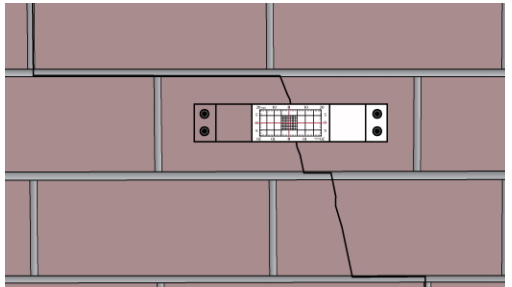 Horizontal cracks are more likely to be caused by lateral pressure. Understanding these foundation cracks is the first step to fixing your foundation. As the illustrations below show cracks come in many forms and have varying meanings. Cracks of .064” or less generally do not leak. Wall cracks that are wider at the top than the bottom indicate settlement. If your foundation has cracks it is time to contact a foundation expert to diagnose the cause and severity of these cracks. 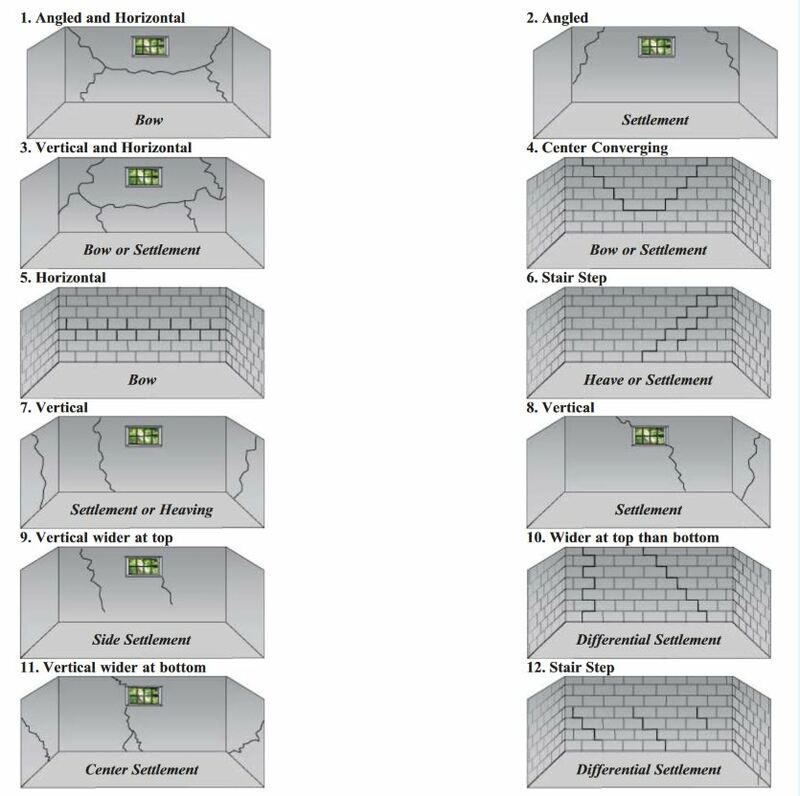 This analysis will also let you know if you are in the need for foundation repair. The nature of the crack will determine the best mode of foundation repair or waterproofing that is needed to solve the problem. Possible solutions include underpinning, crack injection, wall plate anchors, helical tiebacks, drainage, and gutter or downspout repairs. Often times water is often blamed for a structural issue – i.e. after a foundation has settled cracks will open and water will find a way to the living space. The lack of water can often be the cause of structural issues that do not get noticed until the wet season arrives and water starts infiltrating the foundation. Water often causes foundation problems also and repairing the foundation without solving the real problem – water, can lead to future problems. This is often the case with standing water in the yard due to poor drainage. Hydrostatic pressure can build behind an otherwise stable wall and cause movement of this wall.